have the original figurine boxes, use those, and then place multiple figurine boxes within a Dish-Pack box. 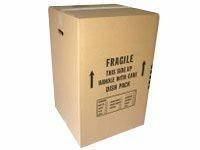 The Dish-Pack is always your preferred box for fragile items since it has double-thickness cardboard walls, and it’s size and shape prevents stacking them too high. If you don’t have the original figurine boxes, you can use pieces of cardboard, packing paper, and bubble wrap to fashion a box. You can then nest that box within a 1.5 box, and even a 3.0 box before placing the nested boxes within a Dish-Pack box. 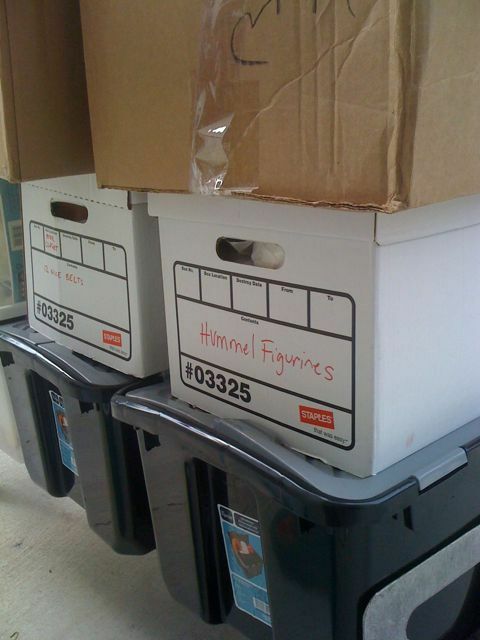 DON’T PACK HUMMELS IN THIN OFFICE FILE BOXES as this customer did below–see their labeled box. CAUTION: If you have professional movers move you, their insurance will not cover you UNLESS THEY DO THE BOX-PACKING. Because of this, many of our customers box-pack many of their loose items, but let us pack their china, figurines, and other especially expensive items. This entry was posted in Box-Packing and tagged 1.5, 3.0, Box-Pack, Dish-Pack, hummel, insurance, pack by Bob McGregor. Bookmark the permalink.